Industrial roofs are often flat, covering a large warehouse, business, or other large building that cannot logically support a peaked roof. The maintenance of these roofs comes from within; when a leak or water damage is noticed inside, the roof inspection begins outside, where inspectors might find ponding on the roof, causing leakage. Ponding is water collecting, and standing, in an indentation in the roof. When this happens, it’s time to seek out roof leveling compounds that will get the job done, save time, save money, and reduce the amount of damage inside the building from water drainage. 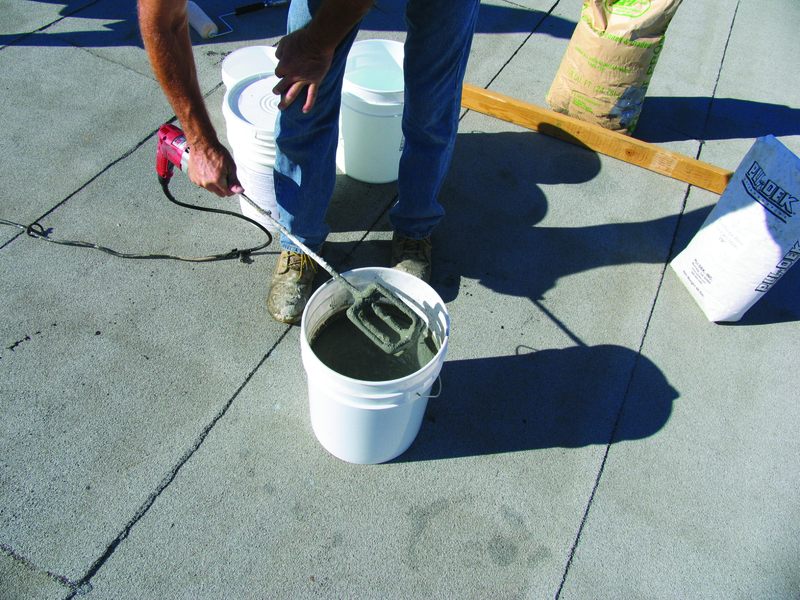 Roof leveling compounds are products that level dips or indents found on a flat roof. 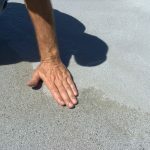 These compounds are sought after when there is ponding on the roof; it is a mixture similar to a deck sealant that creates a tight, flat surface to correct the ponding issue. When a building owner or manager finds a leak in a flat roof, the inclination is to tear the roof apart, sealing the joists, and replacing the roofing material. This is unnecessary when these compounds avoid that issue, reduce waste generated by the company, and save a great deal of time for the company overall. An afternoon of repair, as compared to a few weeks of roof replacement, is preferable for any business. Many compounds dry within 24 hours, and they require less than an hour to apply. 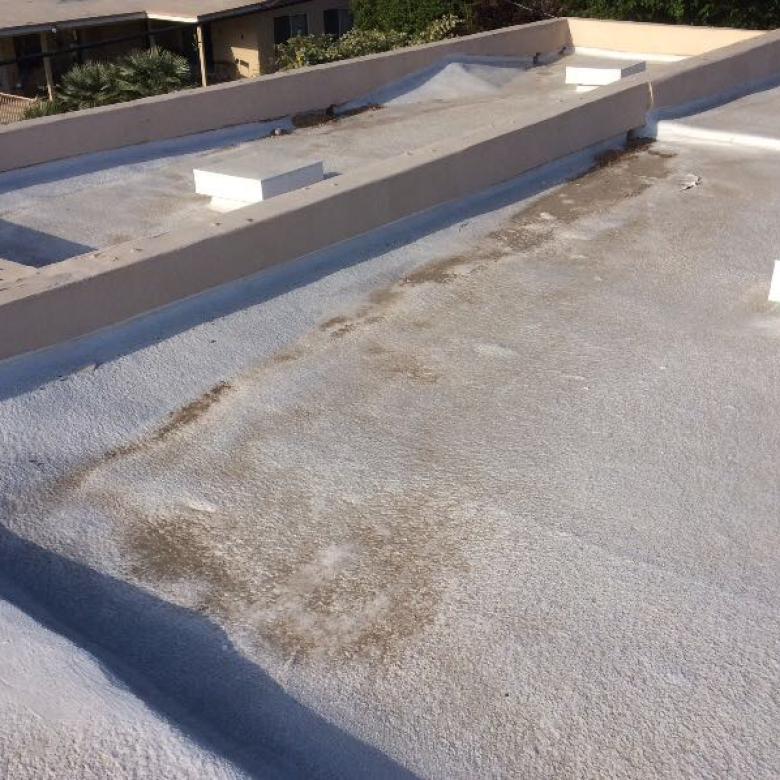 It seems like a no-brainer when choosing the best repair options for a flat roof. These compounds are used to level off the roof of a building whenever dips or cracks are discovered. They are only used on flat roofs, most commonly on industrial buildings, when roof replacement is impossible or undesirable. The person applying the compound mixes the product on the ground, then takes it up to the roof. The compound is applied with a flat tool, such as a steel trowel, and a level is used to make sure the compound is applied evenly over the surface of the leak or indent. The compound must be flat to avoid future ponding and roof leakage. After the compound dries, water is poured over the area to check for existing ponding. 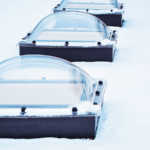 If evidence of existing ponding appears, more compound is applied using the same procedure to remedy the inconsistency. 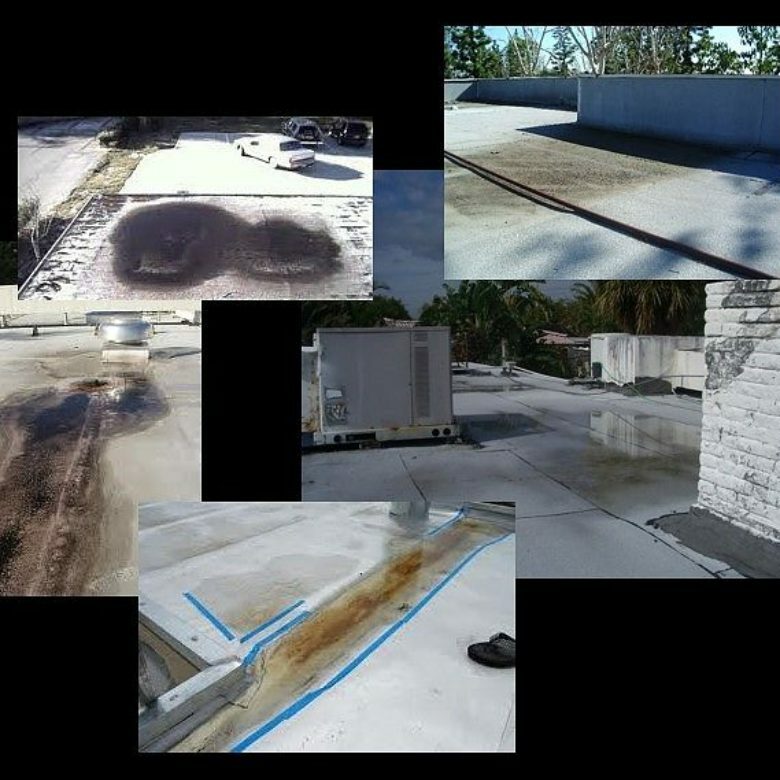 The most important part of application is the flatness of the compound – if it dries unevenly, or if it is applied higher than the surface of the roof, it will need to be chipped away and redone, wasting more time. Choosing the best roof leveling compound is dependent on personal choice and budget. Most compounds are fast-drying, high PSI, and quick-apply formulas, creating an even playing field in the competition. The company’s maintenance man typically has a list of repair companies with which he or she is familiar, so starting there is the best option. Cost is also a consideration – while it’s never wise to purchase the cheapest product, the most expensive product might prove a waste of money. Purchase a moderately-priced product with a guarantee attached, such as a money-back guarantee or warranty. If the roof was provided by a specific company, look to that company to find the right compound. Typically, the company has a line of products that work well with the provided roof, and, if the roof is still under warranty, may provide the product at no charge. If you’d like to learn more about out RoofSlope product to eliminate ponding water, contact us today. We’re always happy to help!